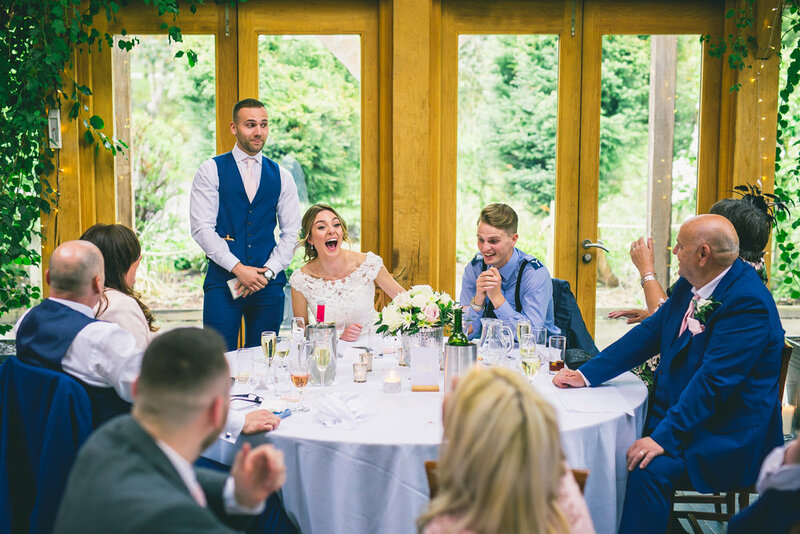 [TOM] - Jordan and Jodie absolutely nailed their wedding! 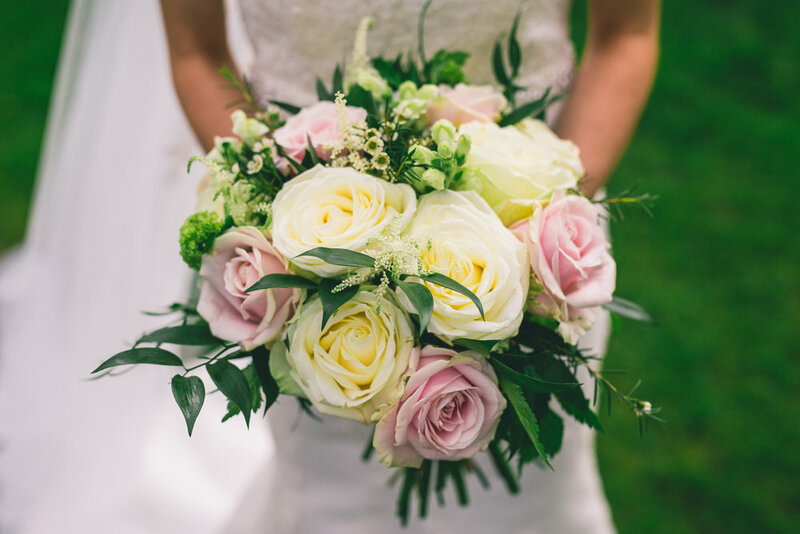 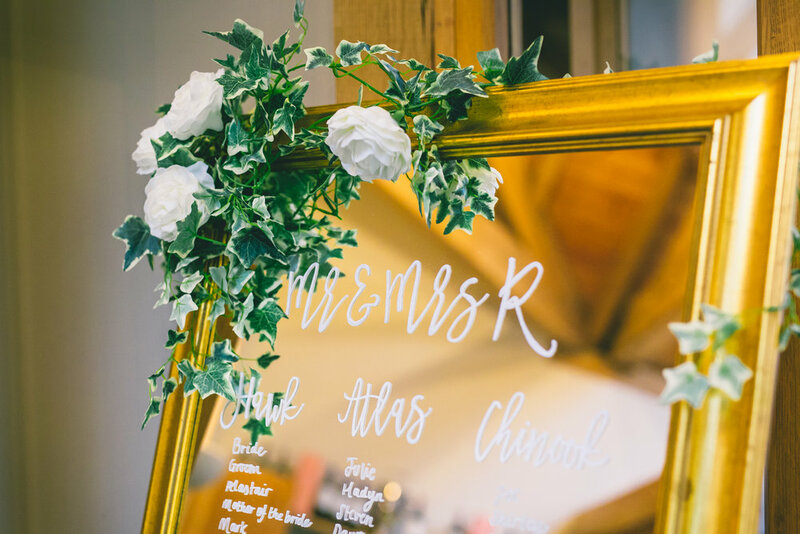 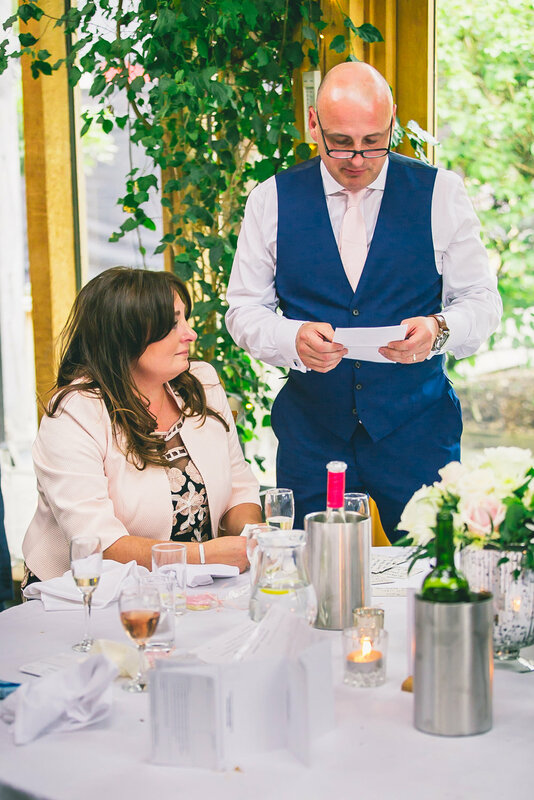 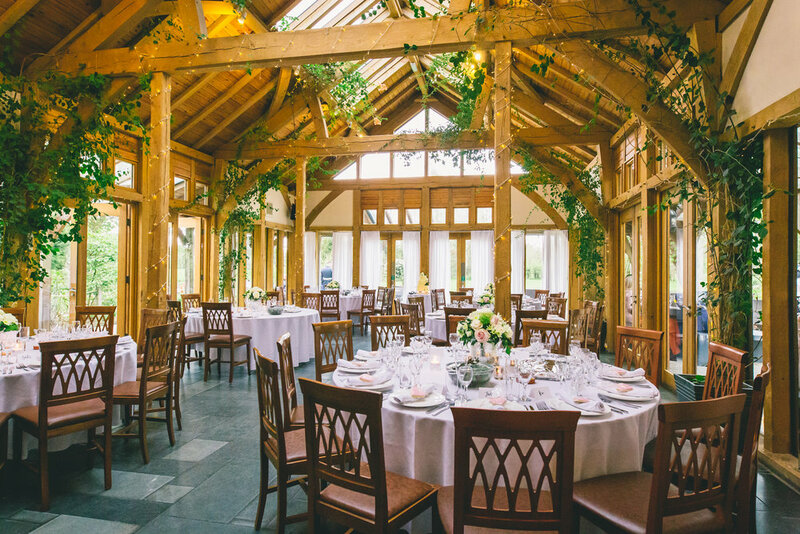 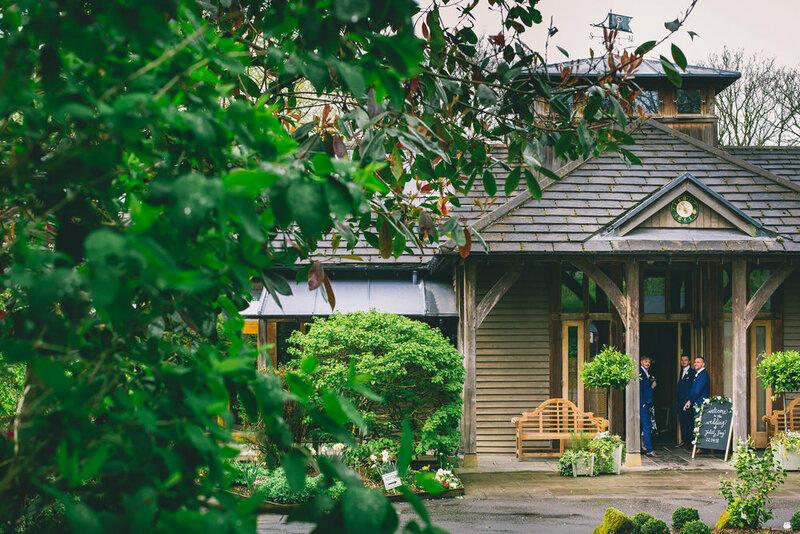 They opted for a decor with lots of natural foliage, earthy tones, all highlighted with gold accents, which worked perfectly with the beautiful bare oak timbers of their wedding venue; The Oak Tree of Peover. 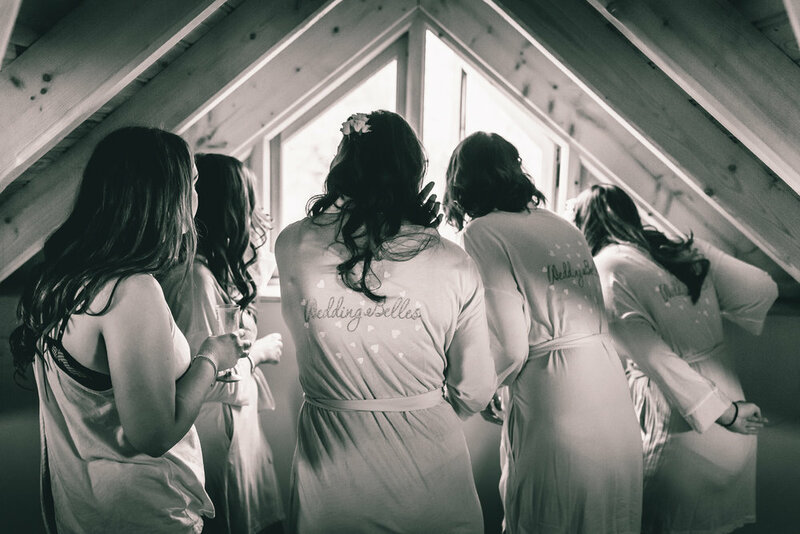 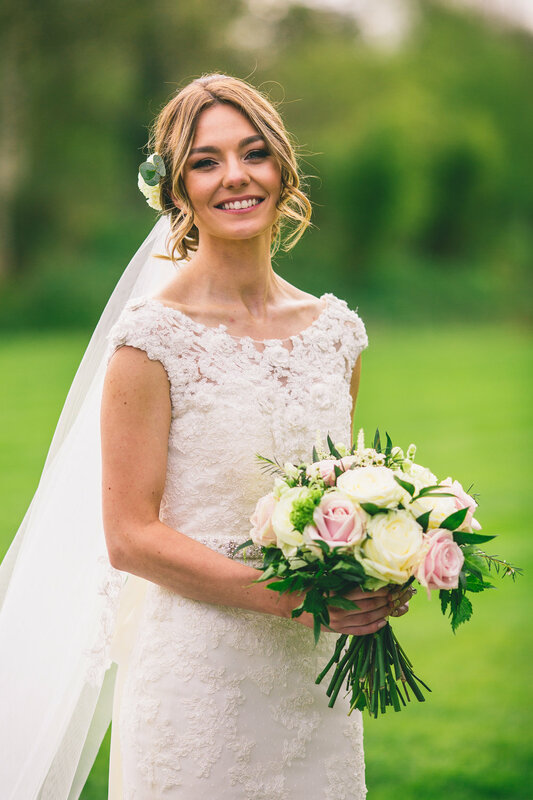 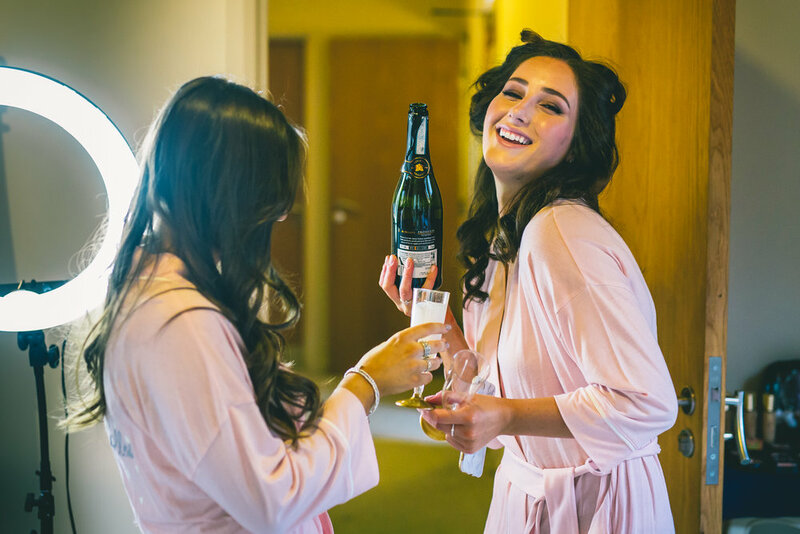 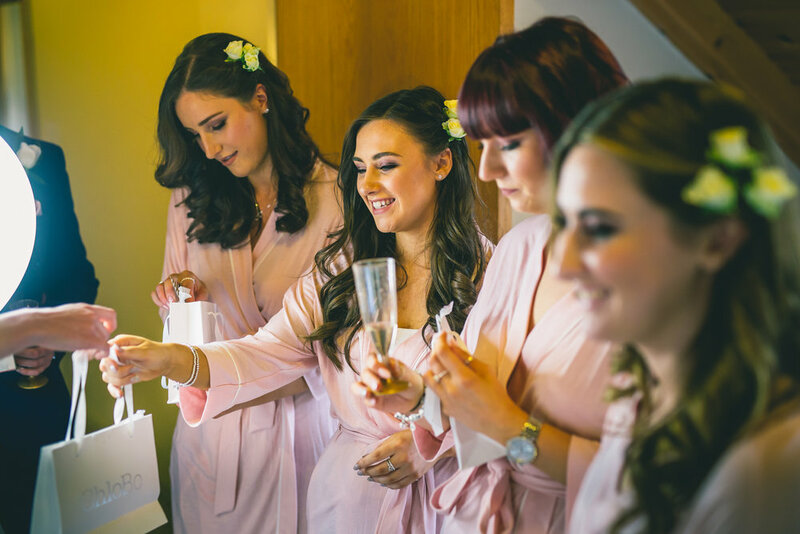 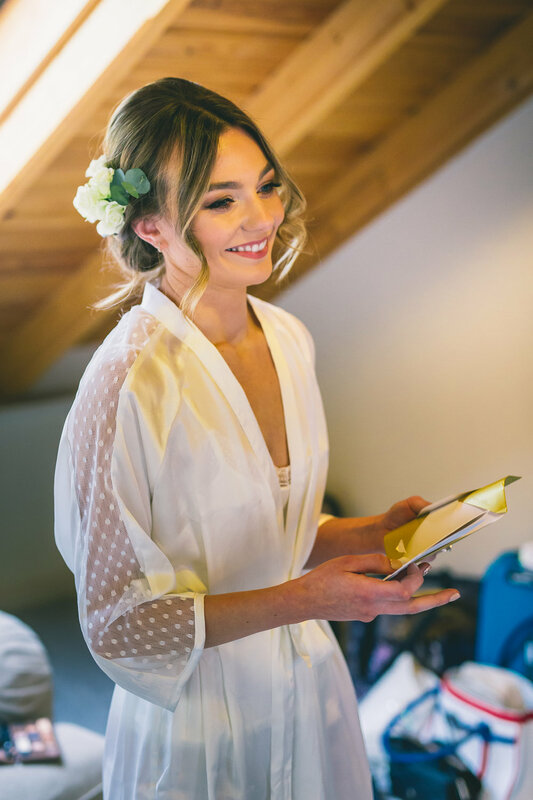 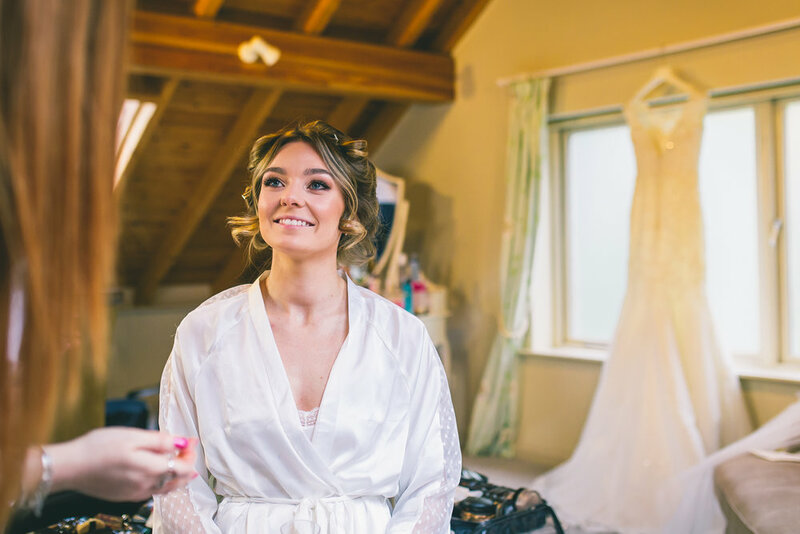 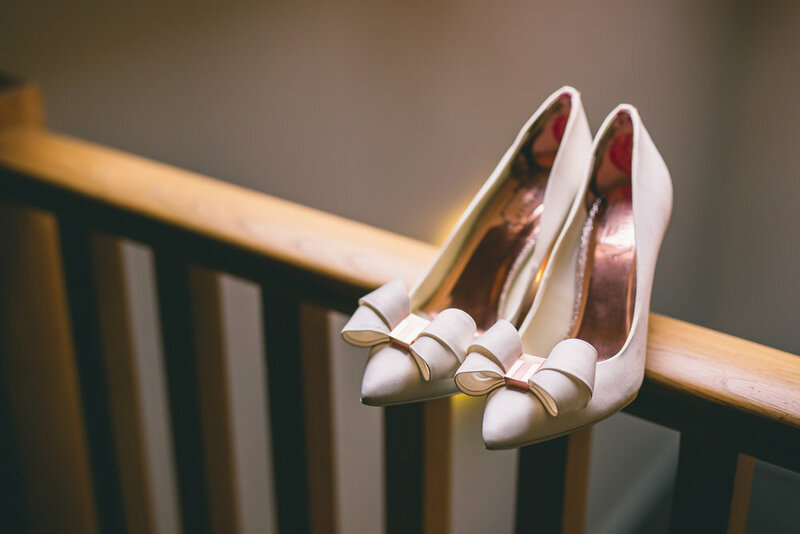 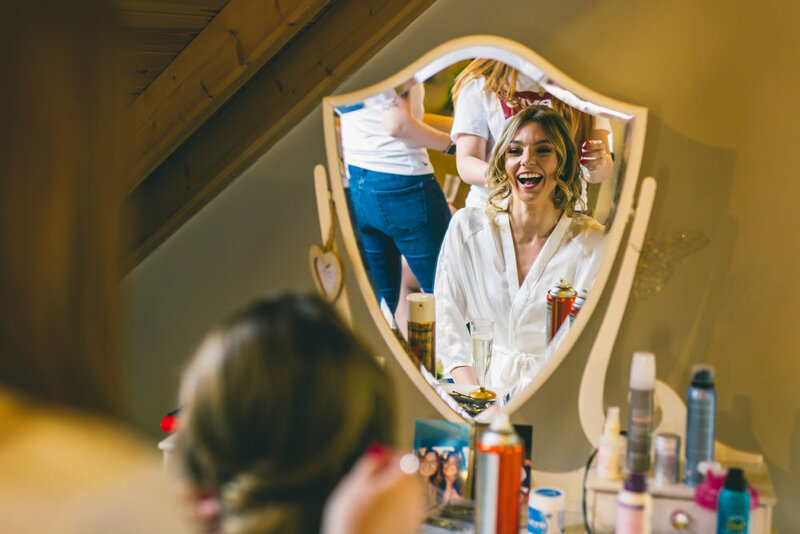 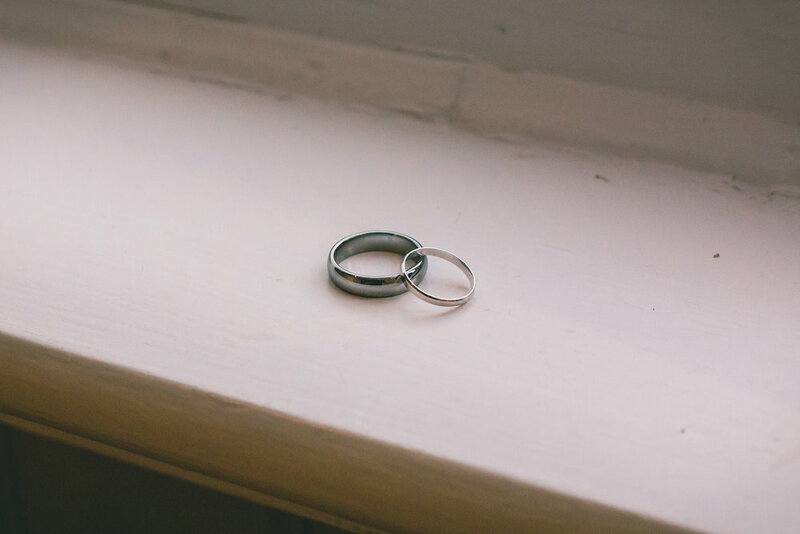 The day started with Jodie’s prep at The Oak Tree where I walked into a super chilled out bridal party, all bopping along to Beyonce whilst being pampered. 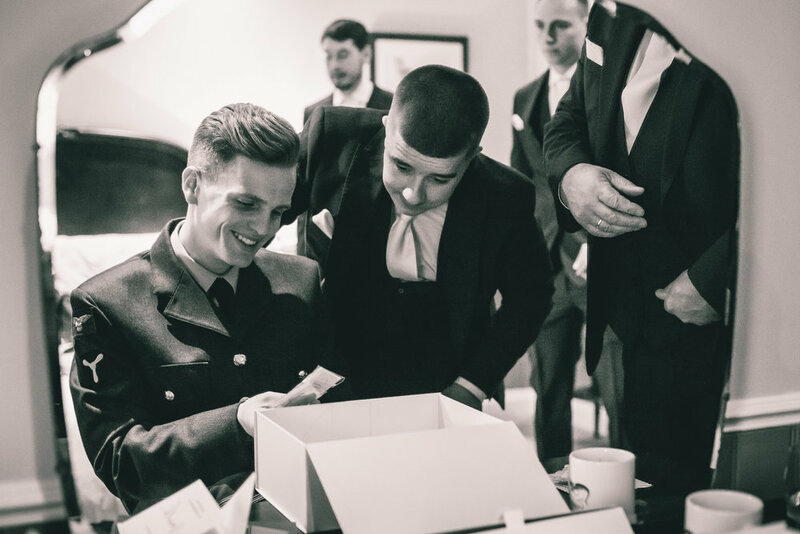 Meanwhile my sidekick, Paul, was busy over with Jordan and his men, who were fighting back the nerves with a quick pint at the bar. 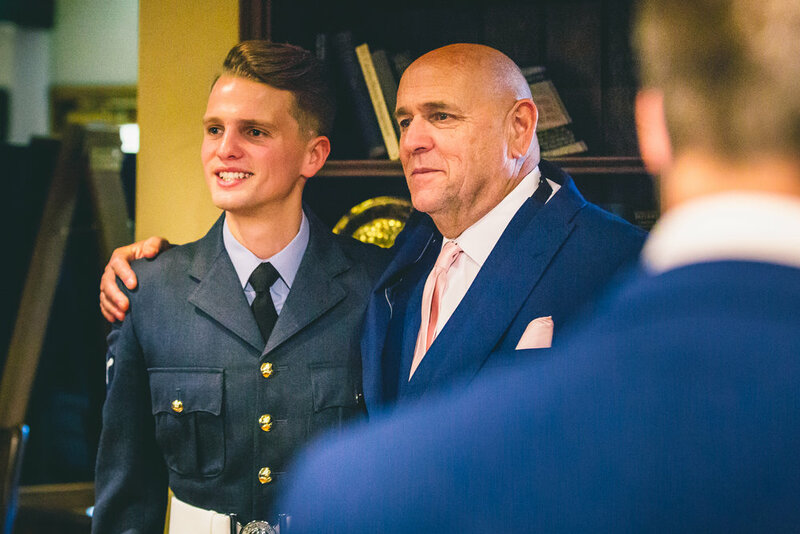 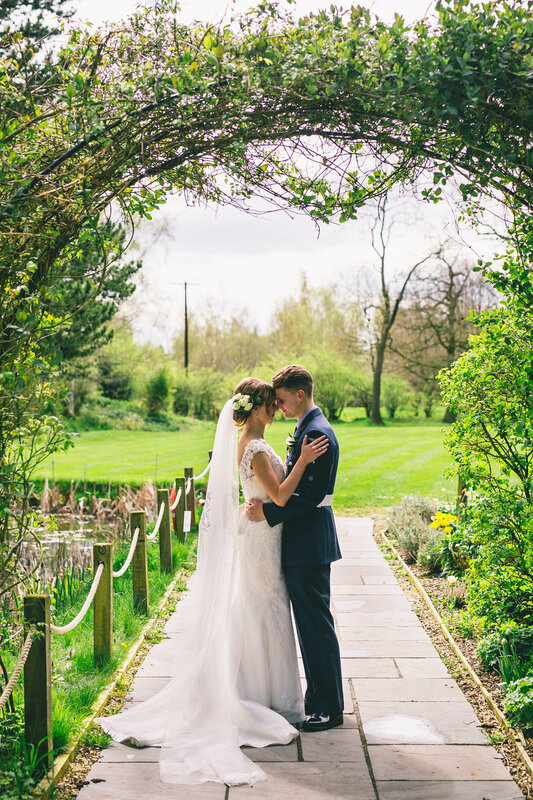 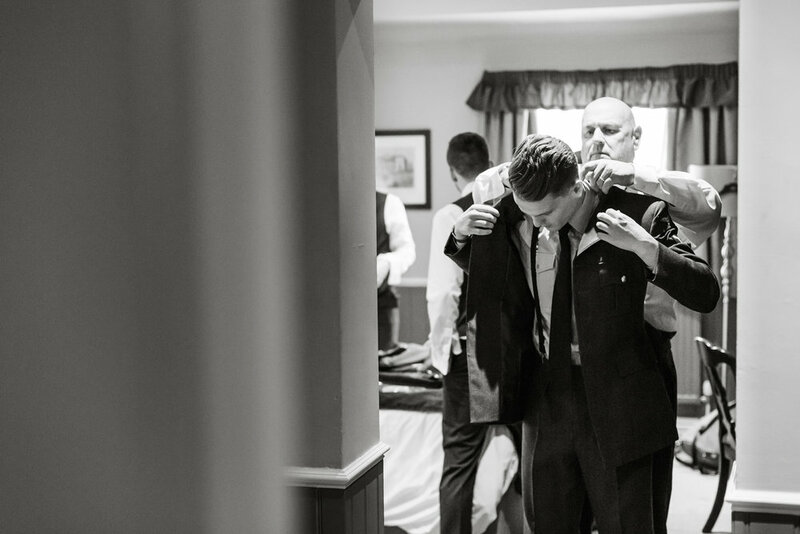 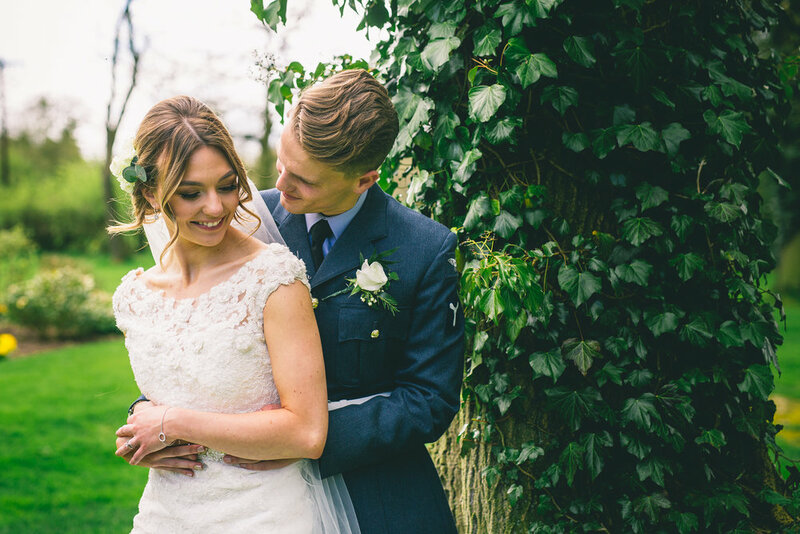 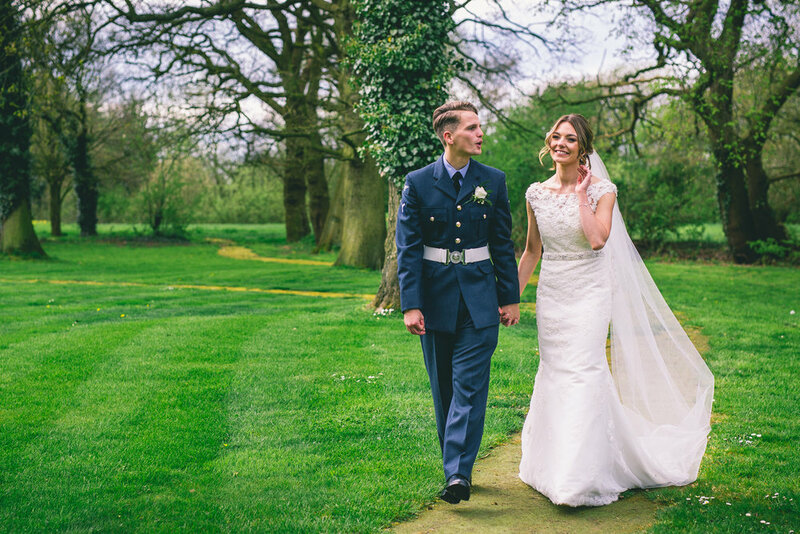 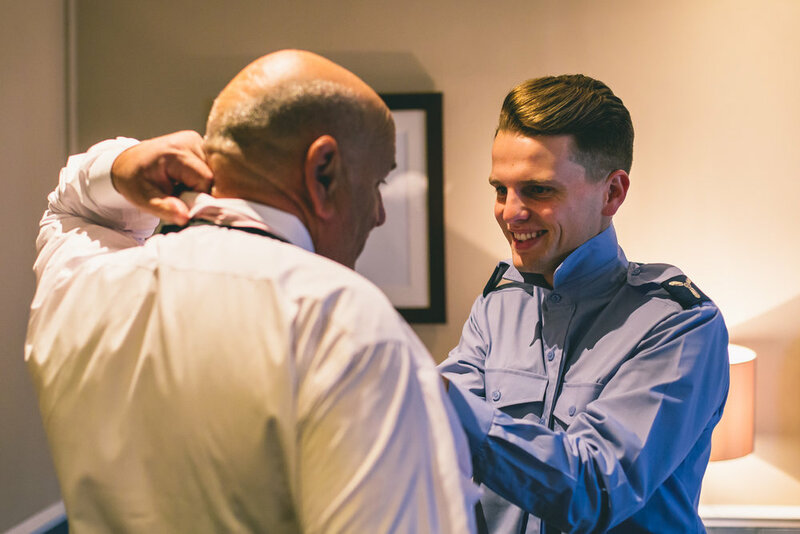 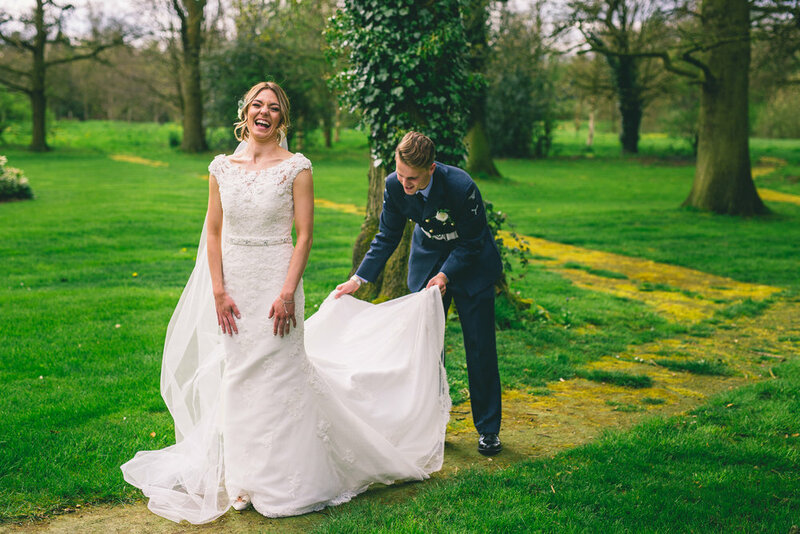 Stood eagerly at the end of the aisle, suited and booted in his RAF uniform, Jordan somehow managed to hold his nerve and not turn around to look at Jodie as she strolled down the aisle with her Brother in arm, who had the honour of giving her away. 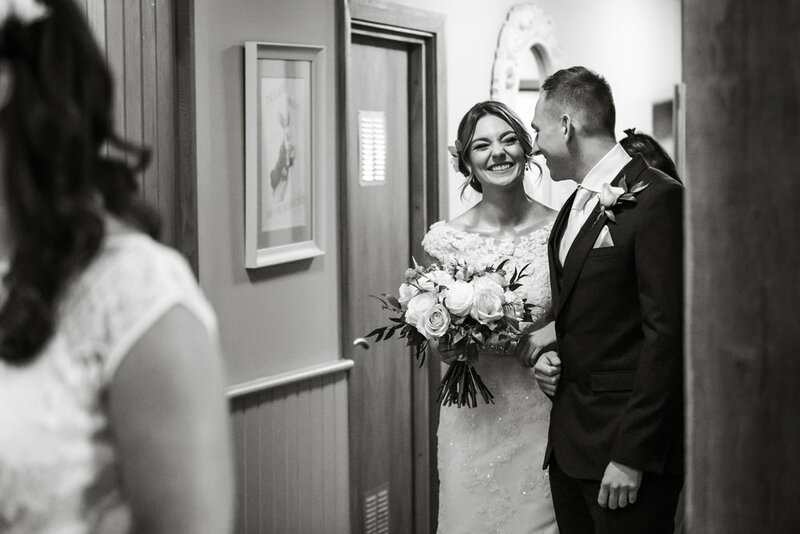 The moment he did see her though, it was very obvious that the pair are absolutely smitten with each other. 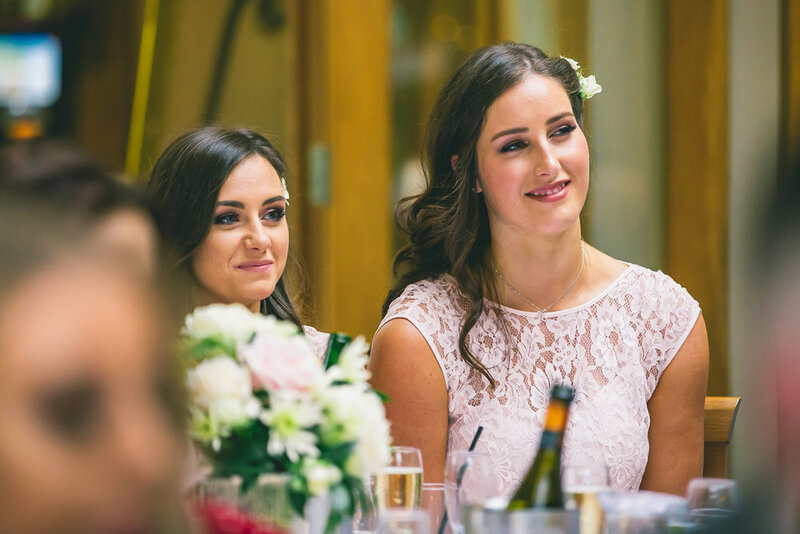 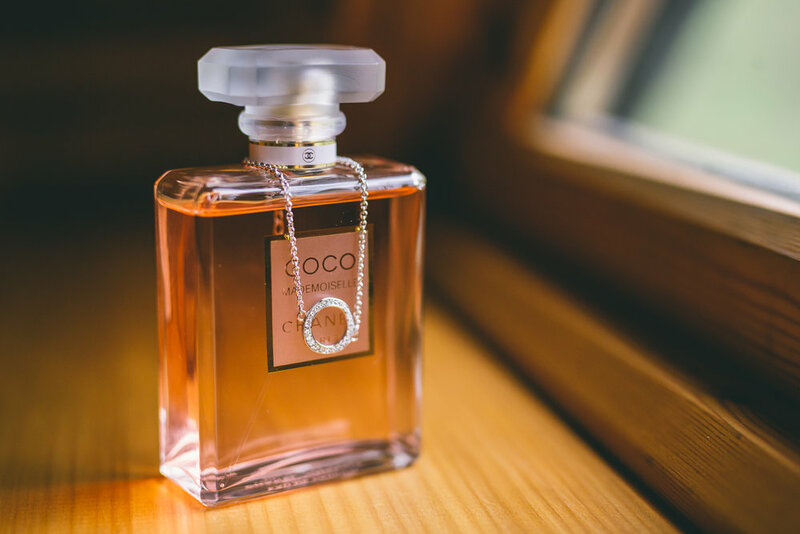 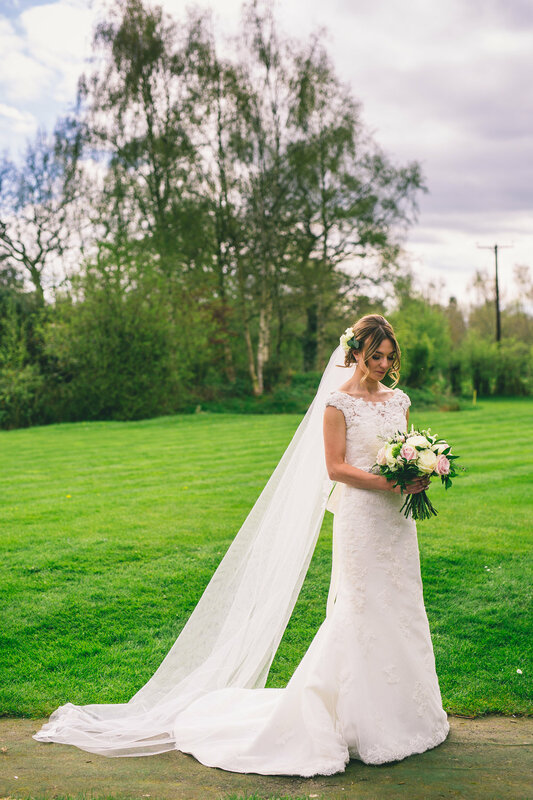 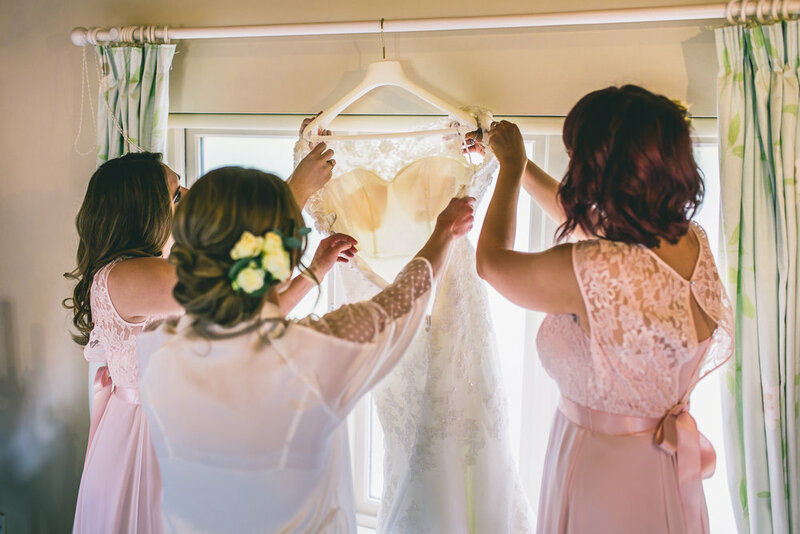 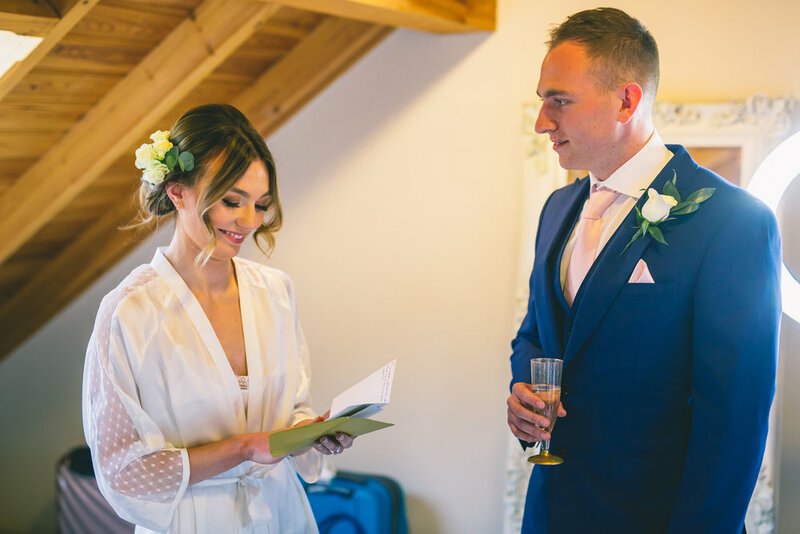 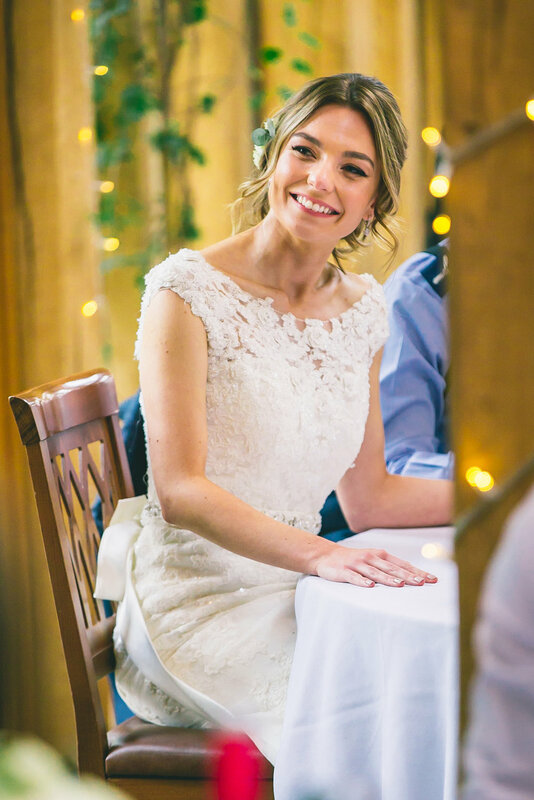 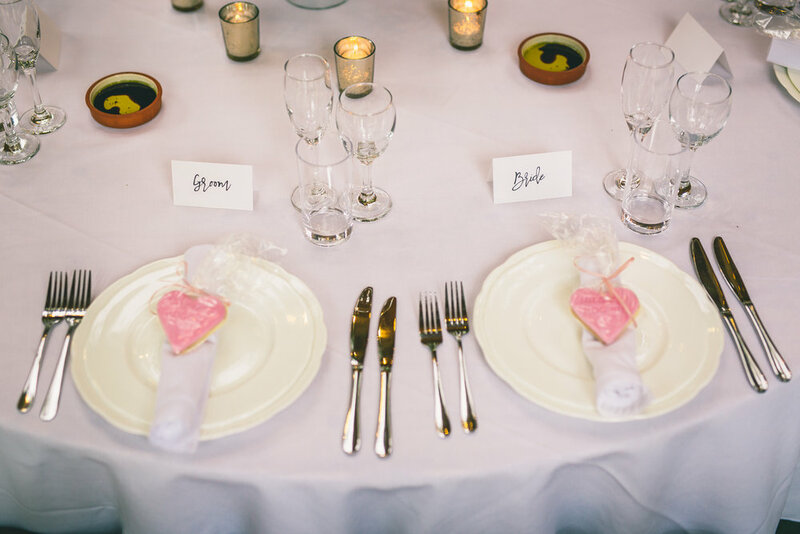 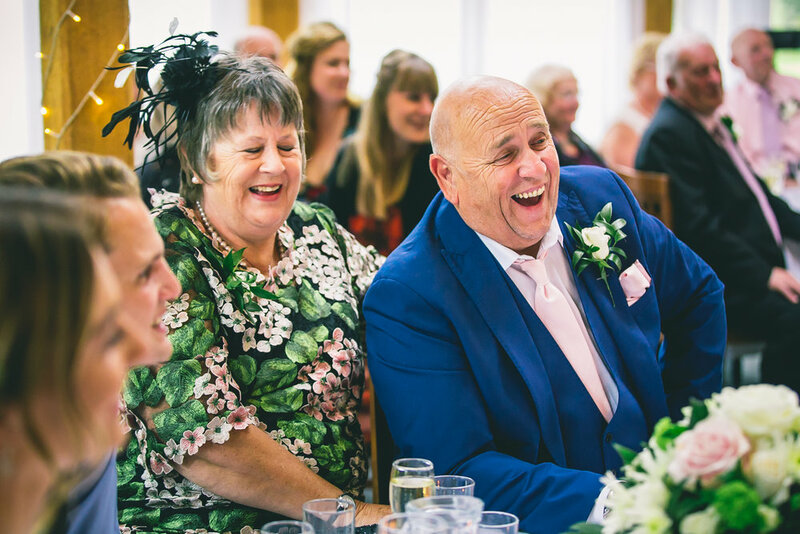 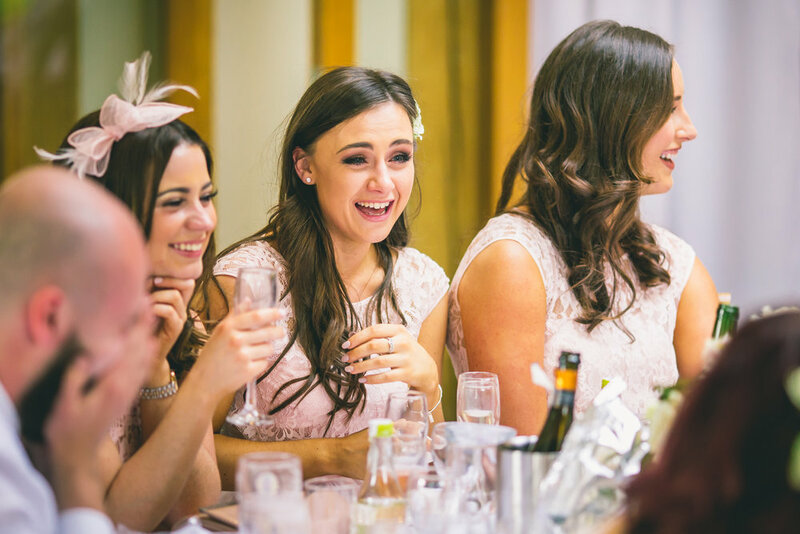 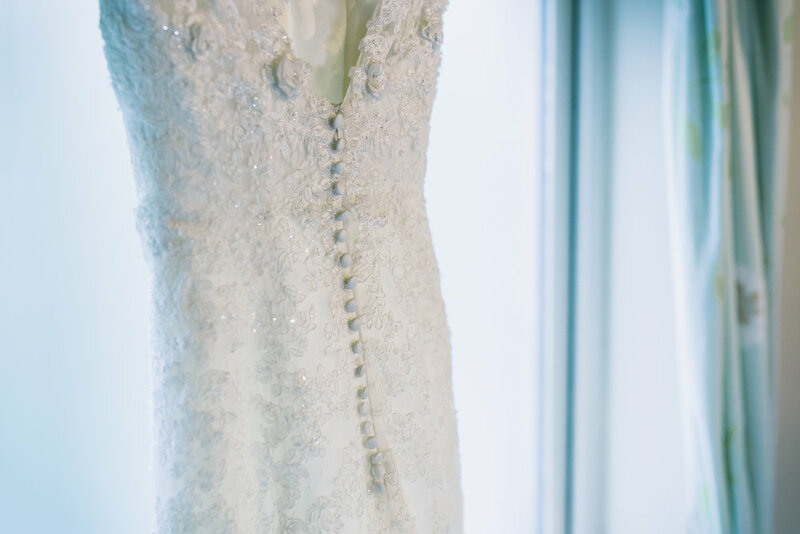 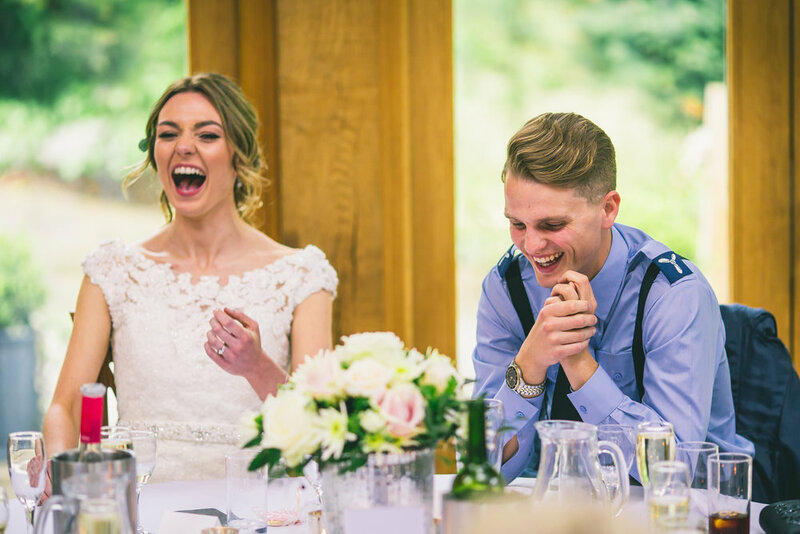 We are very proud to announce that awesome wedding blog, Love My Dress have also fallen in love with Jordan & Jodie’s styling and have featured their wedding - read their article here.